The Art Piece 2 combines Greubel Forsey's Double Tourbillon 30° with a nano-engraving on a sapphire plate seen through a microscope. 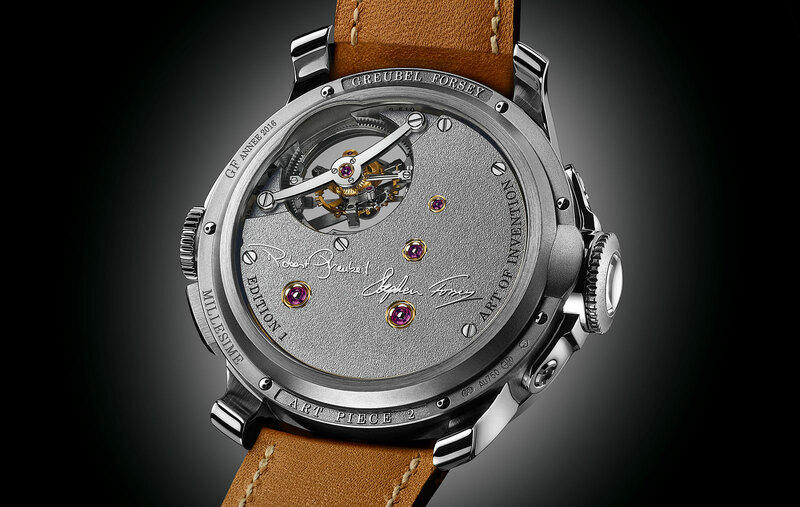 Although Greubel Forsey specialises in exotic tourbillon wristwatches, its latest creation is first and foremost a wrist-borne work of miniature art, with the watch case serving as the frame. 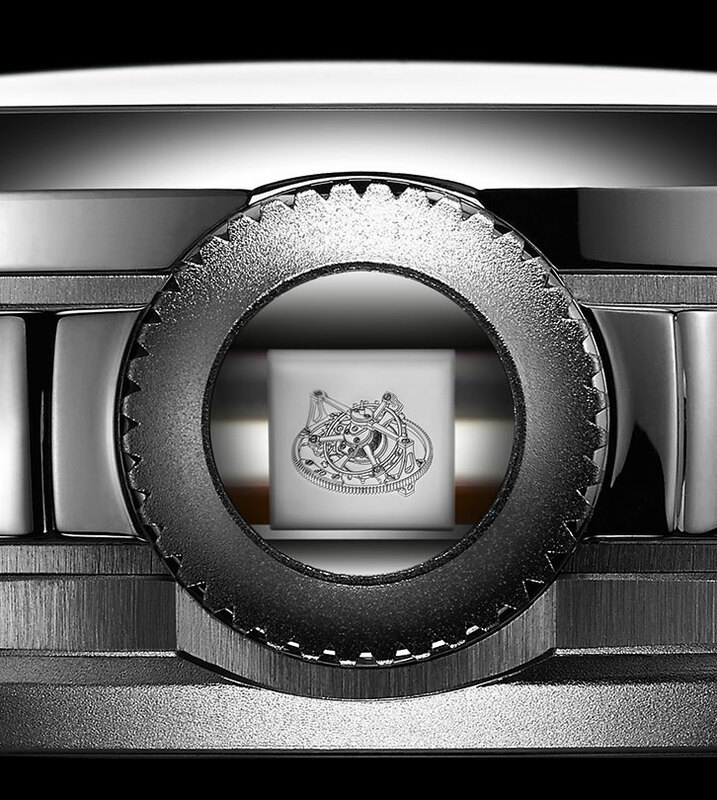 Visible through a proprietary magnifying lens custom-made for this watch, a remarkably tiny sapphire crystal plate is mounted on a polished steel bridge, similar to that used to hold a tourbillon carriage. Engraved mechanically on the sapphire is an image of the Double Tourbillon 30°, the same bi-axial tourbillon regulator that beats at two o’clock. It’s a sly reference to mise en abyme, a technique in classical art in which a painting contains a smaller image of itself. The Art Piece 2 does tell the time, but discreetly. A button in the case activates the time display, shown in a small fan-shaped aperture located at four o’clock on the dial. 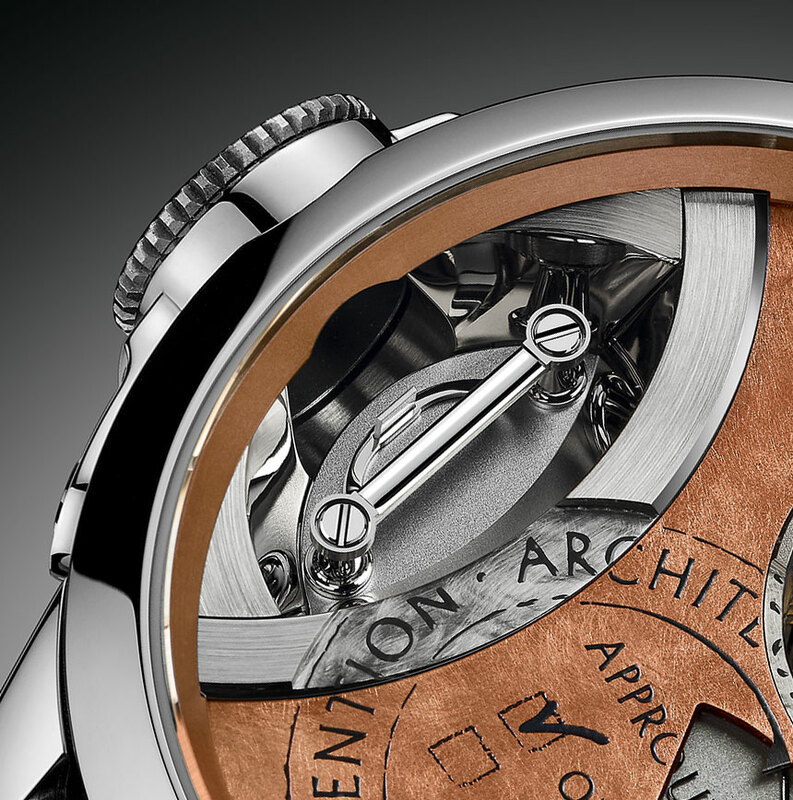 The movement is hand-wound, with the power reserve indicator sitting just below the time display window. 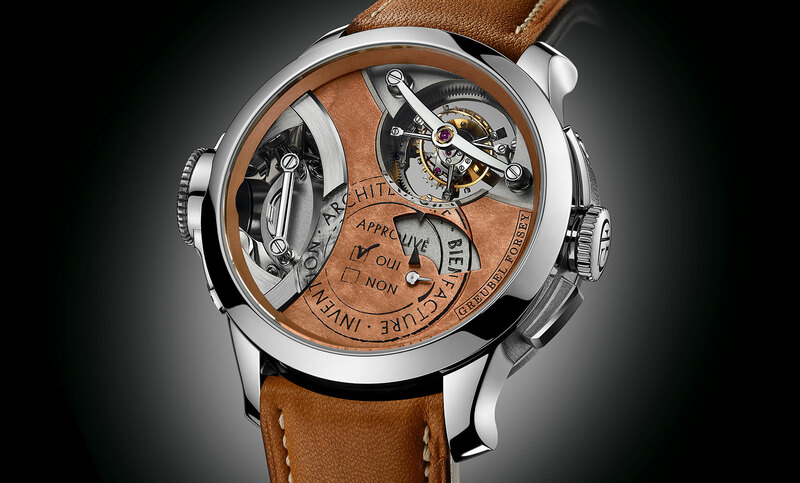 As its name implies, the Art Piece 2 is the second instalment in Greubel Forsey’s series of micro-art watches. The Art Piece 1 was very much the same, equipped with the same movement and magnifying lens, except that it contained a micro-sculpture by English artist Willard Wigan, best known for his work that can fit in the eye of a needle. Produced in tiny numbers each year, the Art Piece 2 is priced at SFr590,000, or about US$617,000.